RauDZ launches their own Gin! 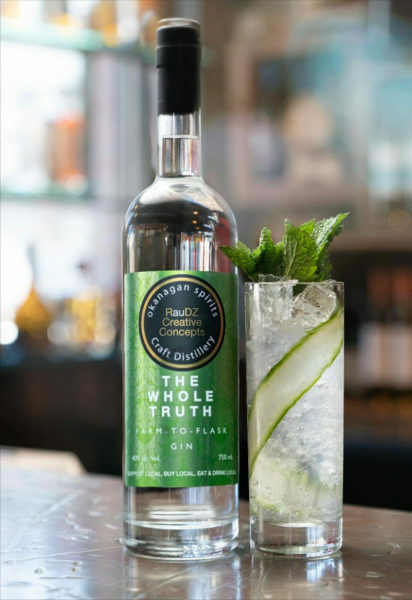 ‘The Whole Truth’ gin by RauDZ Creative Concepts will launch on the cocktail menus at RauDZ Regional Table, micro bar & bites, Sunny’s Modern Diner and Terrafina at Hester Creek by RauDZ on Thursday, April 11. 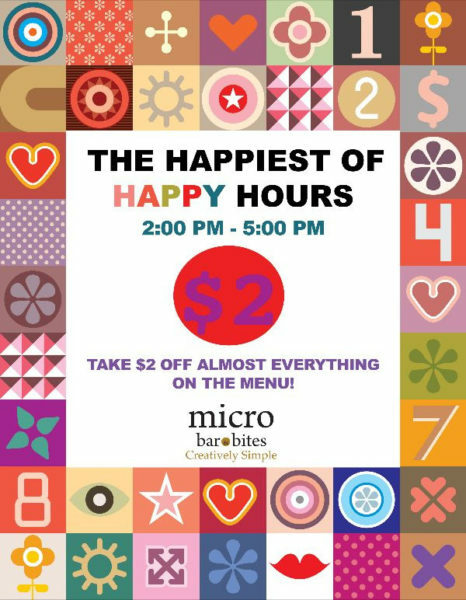 Join us at micro bar & bites for the happiest of Happy Hours! Daily from 2:00 – 5:00 pm you can take $2 off almost everything on the menu. Take $2 off craft beer, $2 off 6 oz glasses of wine, $2 off cider and $2 off our signature cocktails. Hungry? Take $2 off EVERYTHING on the menu except oysters but they are on for only $2. 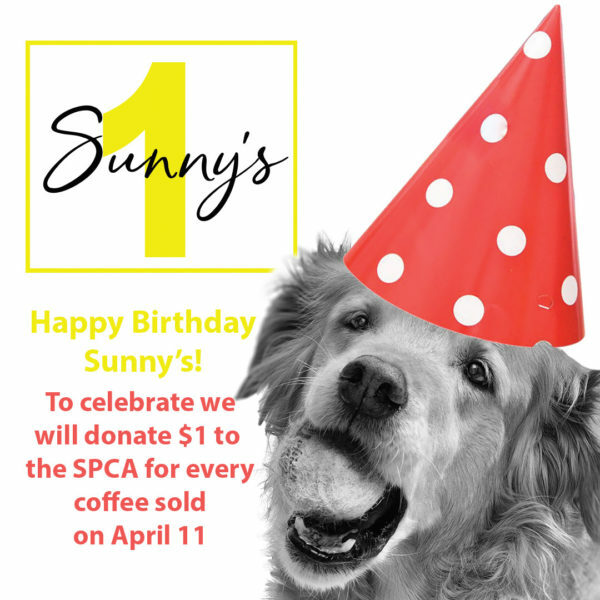 Sunny’s turns ONE on Thursday, April 11. 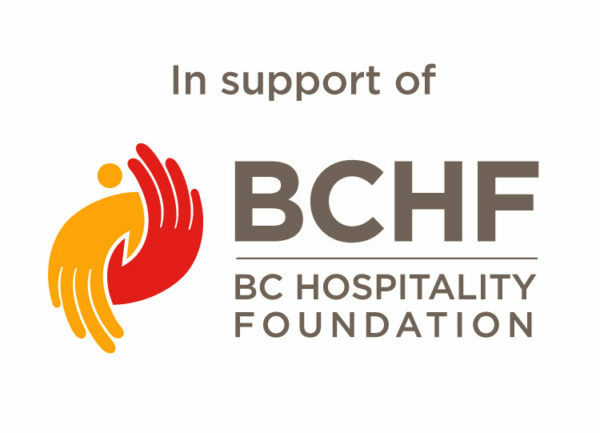 To celebrate we are donating $1 from every coffee sold that day to the BC SPCA. Enjoy your Sunny’s blend coffee and enter to win an incredible basket full of fabulous Sunny’s swag. Open Wednesday – Saturday from 7:30 am – 3:30 pm. At the end of each heat, the competitor’s efforts will be evaluated by our judges AND small samples of the dish and cocktail will be distributed to all guests. Guests will help determine the winner of the evening. 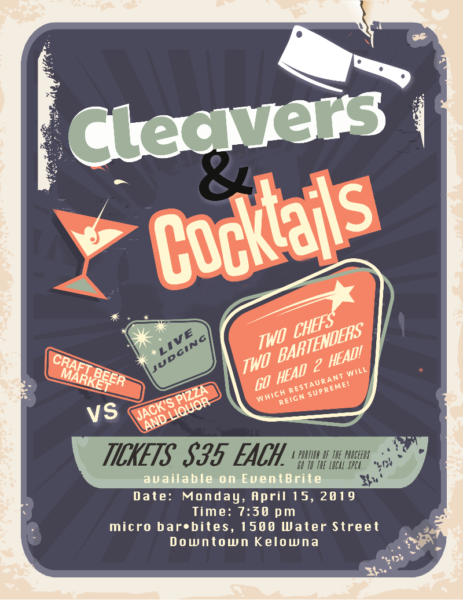 For this competition, it’s Chef Darren Kashin and Bartender Cole Geisler from Craft Beer Market vs. Chef Dan Carkner and Bartender Aric Pihrag from Jack’s Pizza and Liquor. 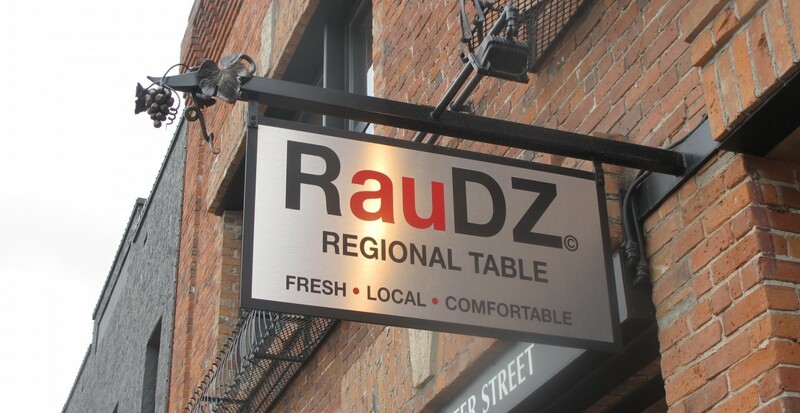 RauDZ Creative Concepts Ltd. own/operate a selection of the Okanagan Valley’s premiere dining venues and are recognized as industry leaders. Award winning farm to table restaurant RauDZ Regional Table, International influenced micro bar & bites and the newly opened Sunny’s Modern Diner are located in downtown Kelowna with Italian inspired Terrafina at Hester Creek by RauDZ in Oliver. Further expanding their culinary influence RCC Co-owner Chef Rod Butters released his first cookbook, ‘The Okanagan Table: The Art of Everyday Home Cooking’ in summer 2017. 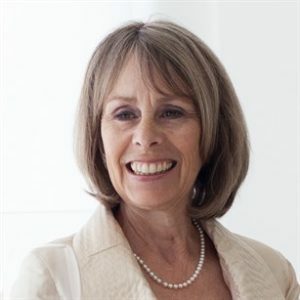 Media release and images provided by Alison Love, Spatula Media & Communications.